We as black people, we are never going to be successful, not because of you white people, but because of other black people. It's a dirty dark secret, you know when there are young black kids doing well in school, the loser kids tell 'em. "Oh. you 're acting white. " 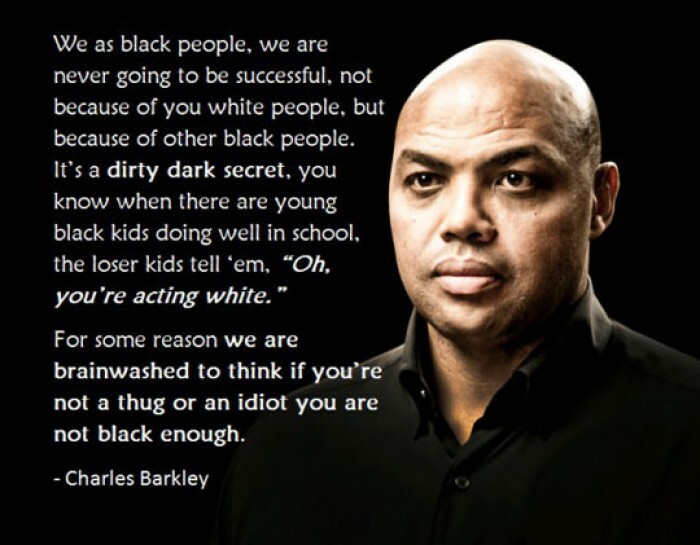 For some reason we are brainwashed to think if you're not a thug or an idiot you are not black enough.